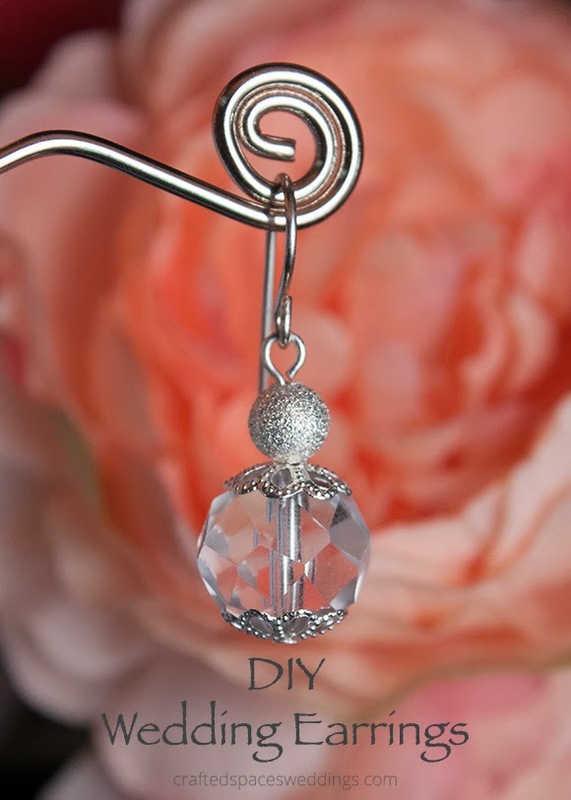 Designing and making your own wedding jewellery can be a fun and easy project. 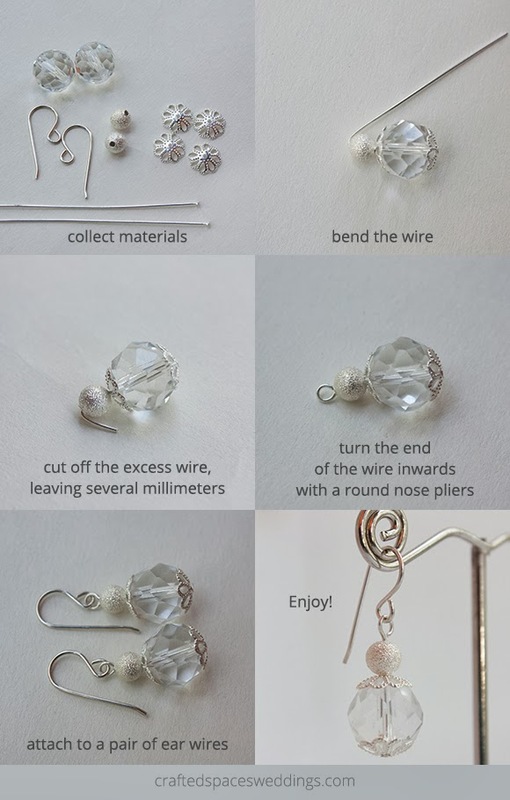 You can also make jewellery for your bridesmaids that will coordinate with their dresses, and can be worn long after your wedding day. You can find a wealth of ideas and inspiration for your design from countless sources, and there is no shortage of places to find supplies. When designing your jewellery identify some key features of your dress. What stands out about the dress? Think of ways you can compliment the features of the dress and use this as a starting point. You will also want to identify the overall style of your wedding and think of ideas that will compliment your event. Another important factor to consider is how the style and colours of the jewellery you are designing will work with your face, and the way you plan on styling your hair. 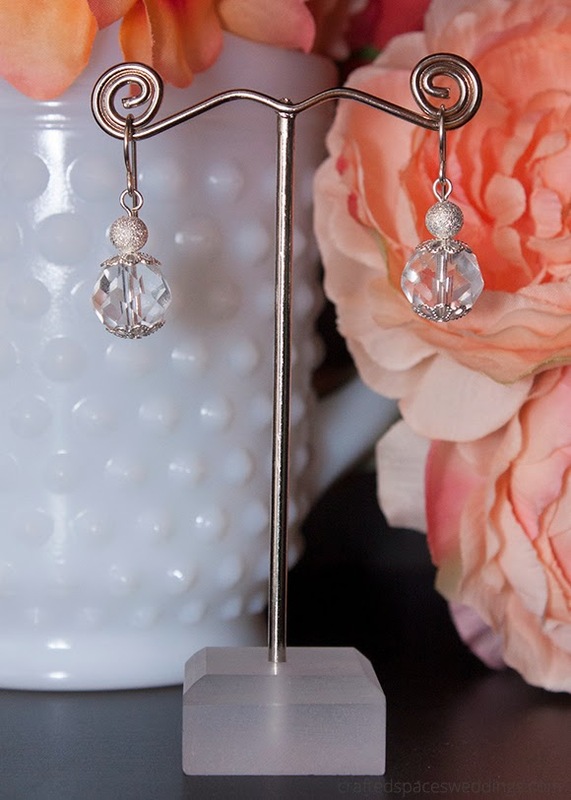 *I used premium silver plated components and sterling silver ear wires for this project. Some individuals have a reaction to fashion jewellery, so using a sterling silver ear wire is an added step that can make a difference. I hope that you have enjoyed this project and will share with us your creations. Check out our other great projects and join us on Pinterest and Facebook for more great wedding ideas.